Hey there. Who doesn't love an old school Godzilla flick? I've recently caught a few with my kids and they couldn't believe the special effects used back in the day to create those Godzilla fights! lol All in all, they were fun to watch and I enjoy them greatly. This is why I must share with you the awesome Godzilla Get Down July programming schedule that our good friends at Comet TV have announced. Oh man... 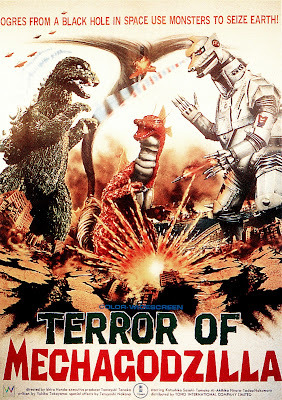 I missed the first two, but you can still start off with one of my favorites: Mothra VS Godzilla!!! And the best part about the Godzilla Get Down programming is that it is all free! You can enter your zip code to see if you can get Comet TV on your local TV broadcast network OR you can stream it live online. YES! So which Godzilla film is your favorite? Godzilla has been around for quite a long time and there is a whole slew of monsters that he's tackled with. Which monster fight is your favorite? Let's hear it in the comments, friends! Must have Godzilla in your life? Then you got to check out this great Godzilla Collection DVD set on Amazon!